Most of the bloggers start their WordPress blog on shared hosting platform. 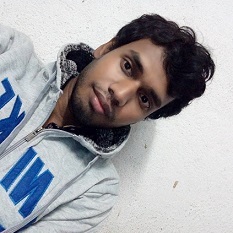 may be you are also running your WordPress site on shared hosting and may be you are happy with it. But for how much time you can be happy? Suppose your blog becoming so popular day by day and the traffic is also increasing everyday. Your blog will be then reach to a state when the high amount of traffic can not be handled by your shared hosting. Then you need to look for other types of hosting like VPS, Cloud or dedicated or the best thing is managed WordPress hosting. I personally recommend you to go with managed WordPress hosting. I am going to list some of the managed WordPress hosting providers which can handle high amount of traffic. You can transfer your high traffic WordPress blog site on any of these WordPress managed hosting providers that I am going to listing in this blog post. Flywheel is a great choice for your high traffic WordPress site. EyeSwift is currently hosting on Flywheel manged WordPress Hosting. On Flywheel you can realize that your WordPress site become so faster with great page loading speed and performance, hacker free security and lots of more. It is obviously a good idea if you choose Flywheel to transfer your current WordPress site. Flywheel team will migrate your site in free of cost. Also it is really so easy and simple and you don’t need so much technical skill to handle your WordPress blog on managed WordPress hosting of Flywheel. Another thing about this managed WordPress hosting provider is that this WordPress hosting is recommend by official WordPress.org site at the time of writing this post. So it looks like a trusted WordPress hosting provider. CloudWays is another great cloud hosting provider which will let you host your WordPress site on cloud platform. On CloudWays managed WordPress hosting your site will be incredibly fast with nice performance and uptime. CloudWays WordPress hosting lets you choose your cloud infrastructure from Amazon, DigitalOcean, Google, Vultr, and KYUP. Deploy your managed servers in just a few clicks. WP Engine is a managed WordPress hosting provider that can provide your WordPress site great speed. Stunning speed, powerful security, built in CDN make it one of the great hosting provider for WordPress site. 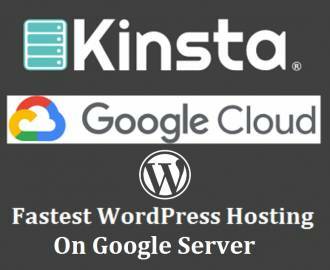 Kinsta is another managed WordPress hosting provider which let you host your WordPress site on Google cloud platform. This hosting provider can take thge load of incredibly high amount of traffic. Millions of visitors can be easily accept by Kinsta managed WordPress hosting. Pagely is another managed WordPress hosting provider for high traffic WordPress site. The Pagely Managed WordPress hosting stack is built upon AWS (Amazon Web Services). This will simply can allow you to leverage near infinite amount of resources and advanced tooling to scale and support your WordPress app. All the hosting providers that I have discussed has different plans and pricing depending upon the capacity of traffic amount, number of plugins that can be handled, disk space, RAM memory etc. You can upgrade any plan easily just with few number of clicks. There may be some more WordPress hosting providers where you can transfer your high traffic WordPress site. If you have used any managed WordPress hosting provider that I have discussed or even any other hosting provider that is not listed here then you can share your experience with us.